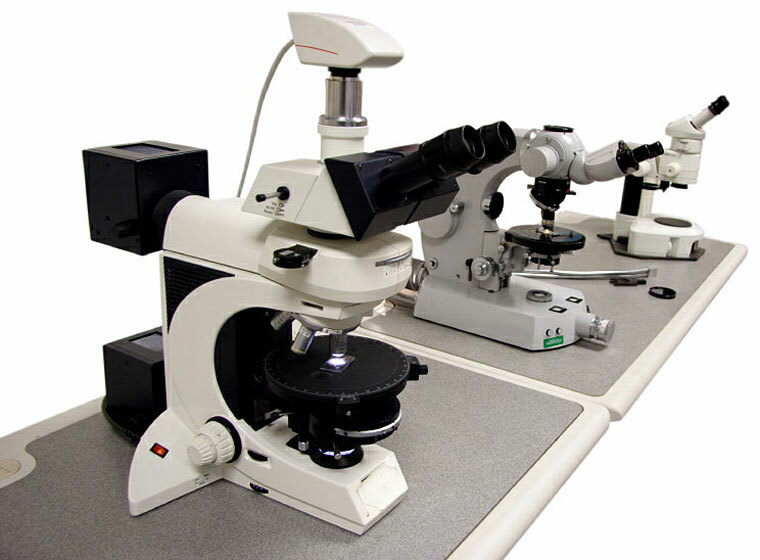 For product development, production quality control, product failure investigation or for material identification, samples often need to be cross-sectioned then prepared for examination under the light optical microscope. For engineering materials and electronic devices the sample preparation process falls within the field of metallography - sometimes referred to as "materialography" since many modern engineering materials are non-metals. In the case of rock and concrete samples, the preparation of sections falls within the field of petrography. In either case, successively finer grinding and polishing steps are used to achieve properly polished sections for study under the light microscope. Advanced Abrasives provides cost effective grinding and polishing products for these steps.